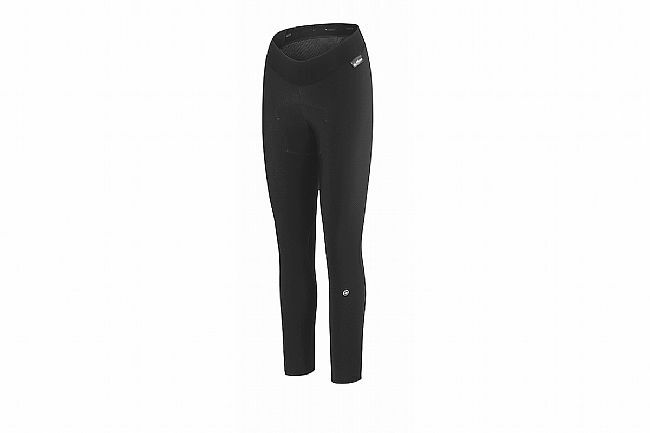 Assos’ Women’s HL.tiburuTights_S7Lady feature a new calf design, a supportive waist band, and a smart blend of fabrics for comfort and warmth in cool riding conditions. Assigned the Tiburu Climarange category, these tights are designed for the cool but not cold temperatures generally associated with Fall and Spring; particularly advantageous within the range of 59 to 70°F (15 to 22°C). Warmer RX Medium fabric covers the front of the leg while thinner, RX Light fabric on the backside regulates moisture and temperature. The calf showcases a new bowling-pin shaped design, borrowed from Assos’ men’s S7 generation of tights, for improved fit. Reflective detailing on the backside of the calf ensures greater rider visibility in low light conditions. 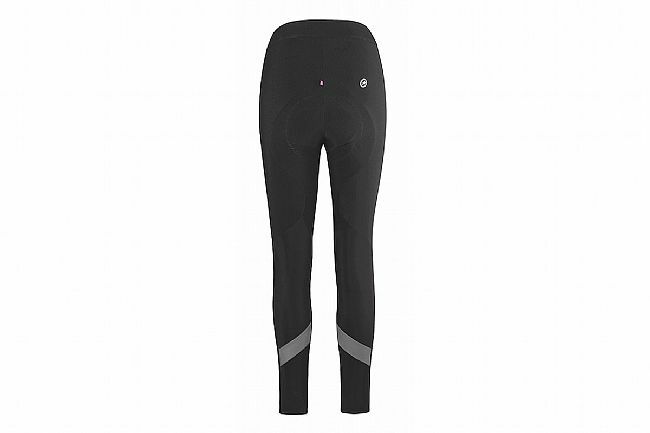 For sustained comfort in the saddle, these tights are equipped with Assos’ S7 insert - designed to move with the body while remaining taut for greater freedom of movement and reduced friction.